ProductAttchment is a most important extension for the store owner. 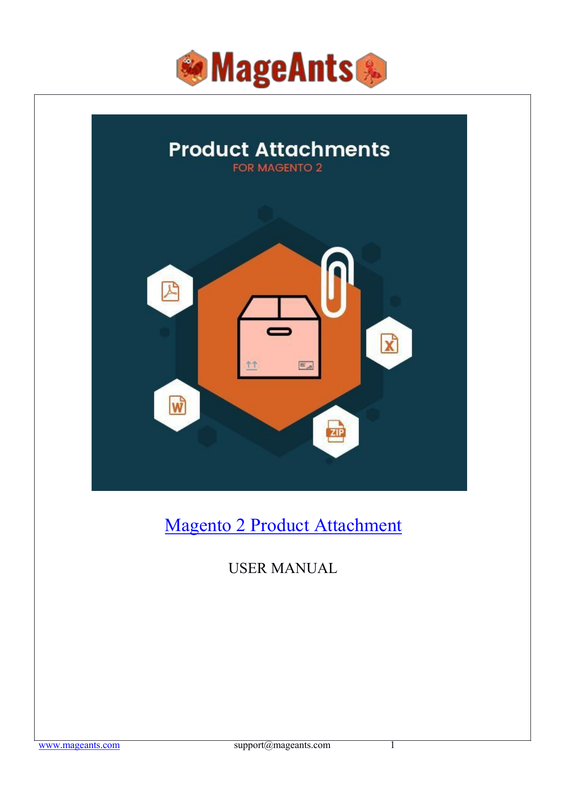 - Easy to create attachment and can select multiple product for one attachment. - Admin can create multiple attachment and assign to multiple products. - owner can attach any type of document or image with the products. - admin can assign multiple attachment to single products also. the attachment Tab otherwise tab is not displayed. - Easy to configure extension. As per below screen shots you can Enable/Disable extension. list of all Attachemnt which added by you & click on Add Attchemnt button for the add new attchement. Here you can set your basic info and Attch file for product attachment. Product Attachment into product page.